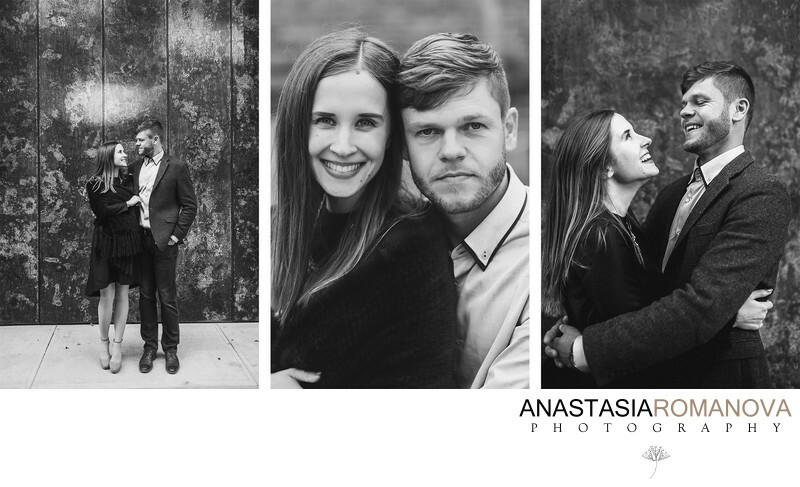 We are Anastasia & Vladimir, husband and wife team of wedding photographers who are truly passionate about capturing memories in a unique way. We love working with couples and feel so honored to be a part of such special life event like weddings. To us it is more than a job, it is about documenting the bare emotion and sheer joy expressed during one of life most fundamental occasions. Each wedding has a unique story and it is our goal to preserve it in the most unadulterated form. Our creative documentary style aims to capture moments that will convey the emotion of the day, and make sure everyone is comfortable! No awkward posing! When you look through your wedding photos, we want you to feel like you are reliving that day just as it were. To feel those butterflies in your stomach and smile so much your cheeks hurt! We believe that every couple is unique and every wedding deserves its own individual approach. And we would gladly welcome the opportunity to create something beautiful for you and your families to cherish for generations to come! We genuinely appreciate you taking time to visit our site. Also, make sure to check out our Blog to see some of our recent work. Contact us and we would love to set up time to connect with you on the phone or meet you in person at our studio to learn more about your wedding plans! We're excited to hear from you!